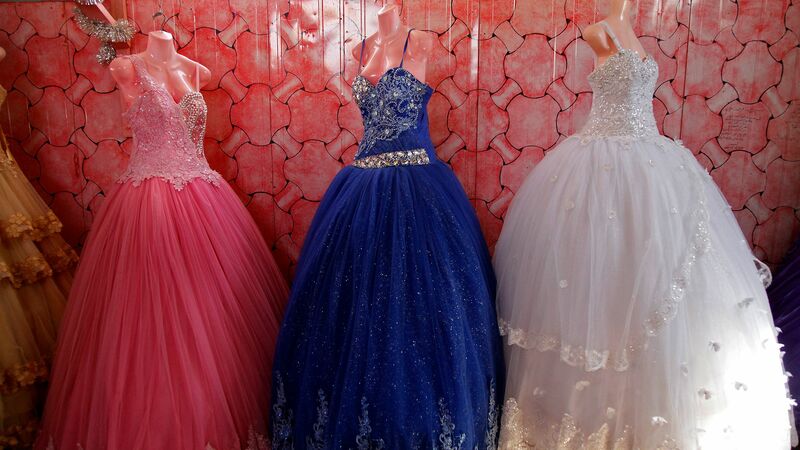 A small shop in Zaatari refugee camp in Jordan displays child-sized wedding dresses. 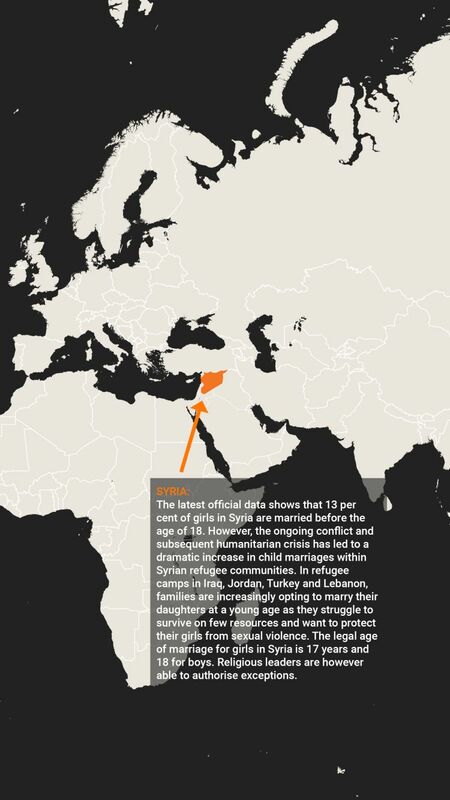 In the camp, Syrian refugee girls down to 13 years of age are married off by their parents. 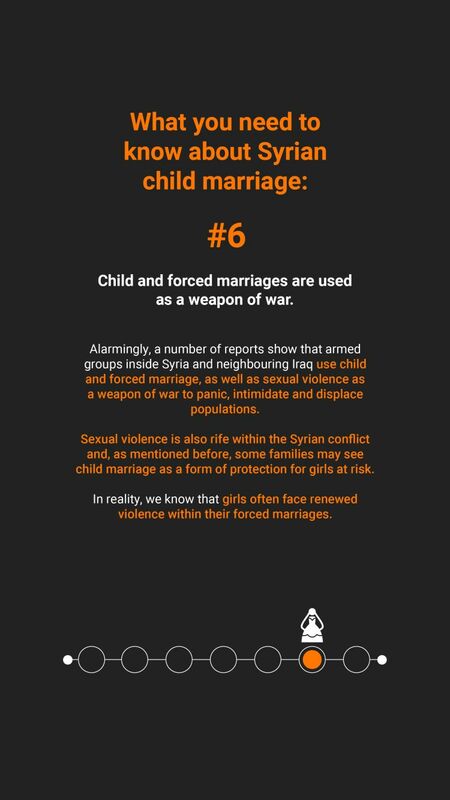 Child marriage has been rising at an alarming rate in Syrian refugee communities. The parents want the best for their daughters, but the result is often the opposite. 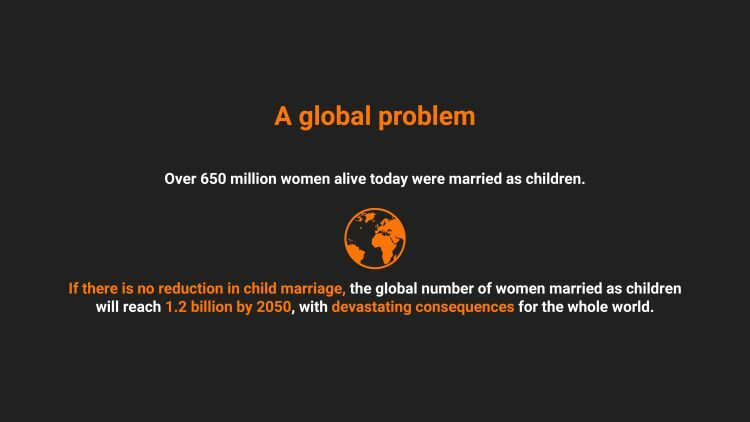 Child marriage is a global phenomenon, but the number of young girls forced to marry at a young age is higher among families that have been forced to flee their homes. 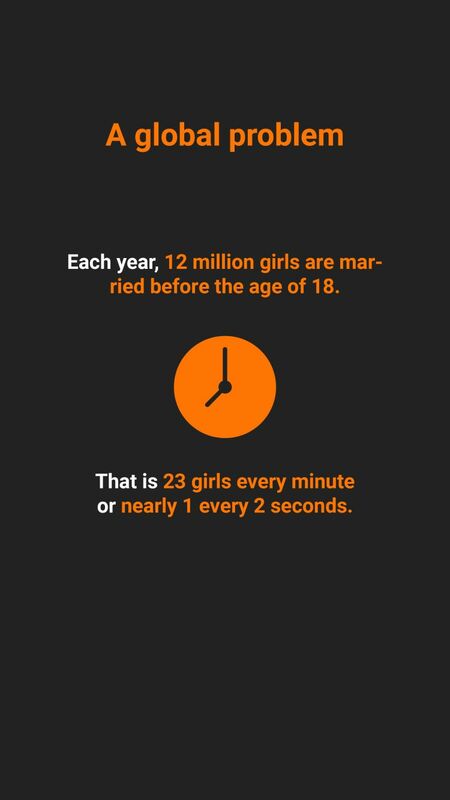 During the time you’ll spend reading this article, 230 more girls under 18 will have been married off. In many countries ravaged by war and violent conflicts girls traditionally marry at a young age. 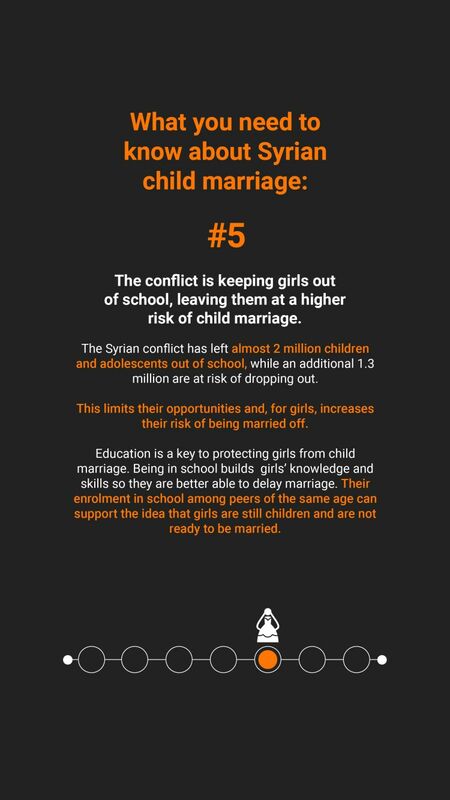 When families flee, however, the risk of girls getting married at a very young age increases. 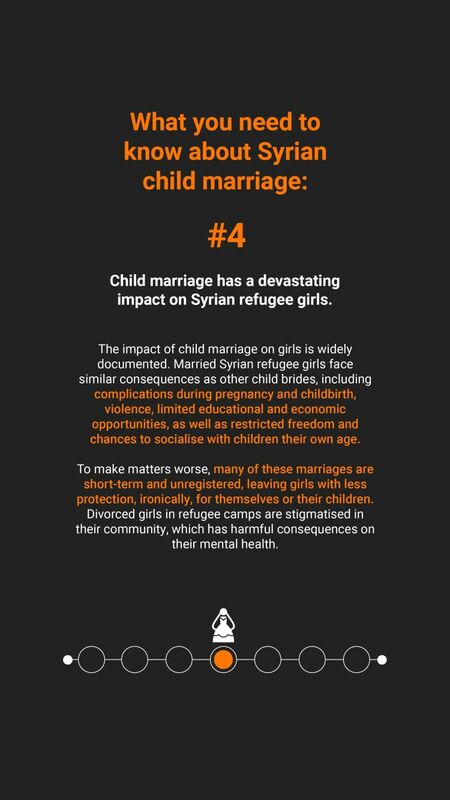 Today, we see that the number of child marriages among Syrian refugees increase dramatically. 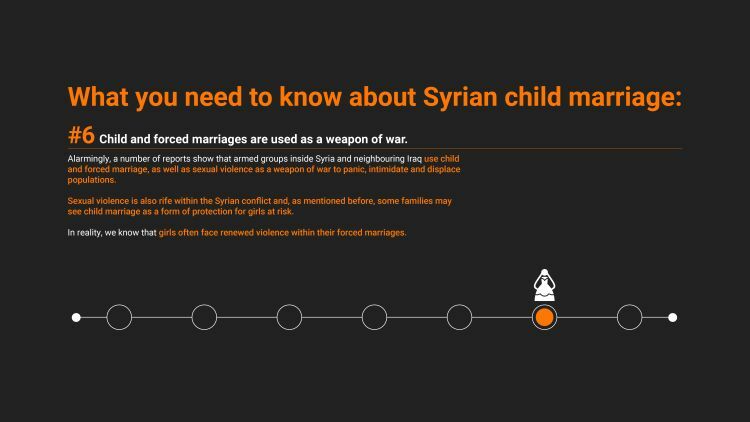 Child marriage is not a new phenomenon in Syria. 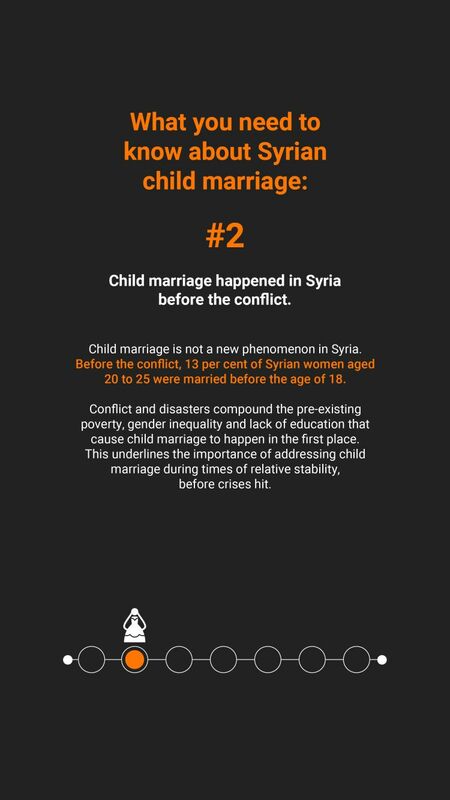 Before the conflict, 13 per cent of Syrian women aged 20 to 25 were married before the age of 18. But the seven-year-old war has torn apart millions of lives and girls are hit particularly hard. 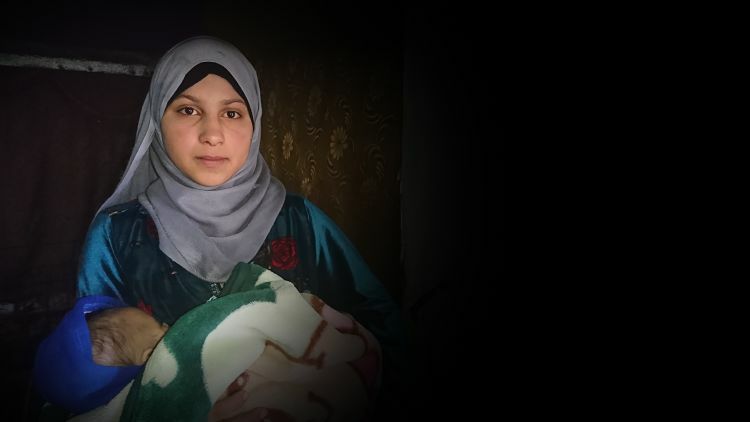 Seventeen-year-old Dima is one of thousands of young Syrian refugee girls who have been forced to get married early due to the dire living conditions they have been facing. Struggling to provide for their family, her parents decided she would get married at the age of 13. 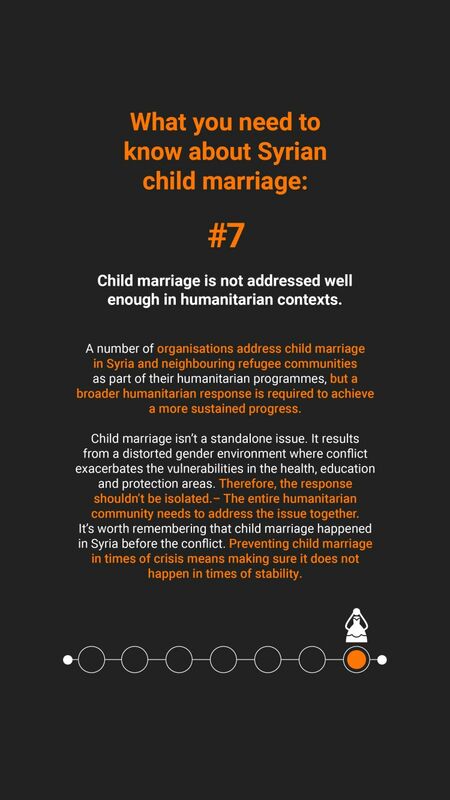 Child marriages, defined as any formal marriage or informal union where one or both of the parties are under the age of 18, are an increasing reality among displaced Syrian refugee communities. 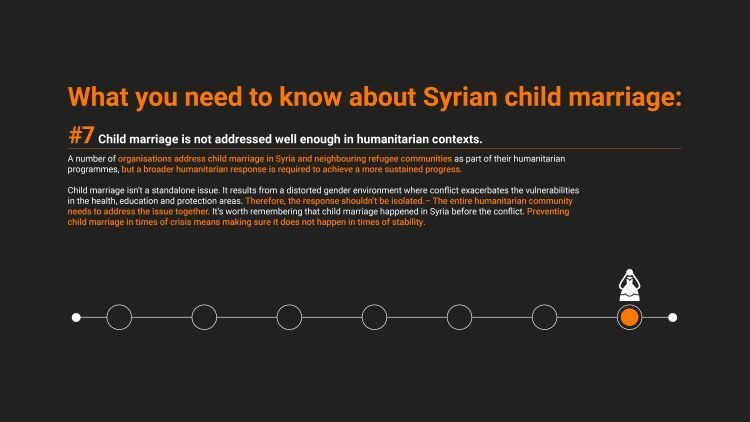 In Lebanon, 22 per cent of girls aged 15 to19, and less than one per cent of boys aged 13 to 17, are reported to have been married, according to the 2018 Vulnerability Assessment for Syrian Refugees (VASyR). This has a tremendous impact on the life of young girls who are stripped of their human rights as a result of being married off without their own consent. 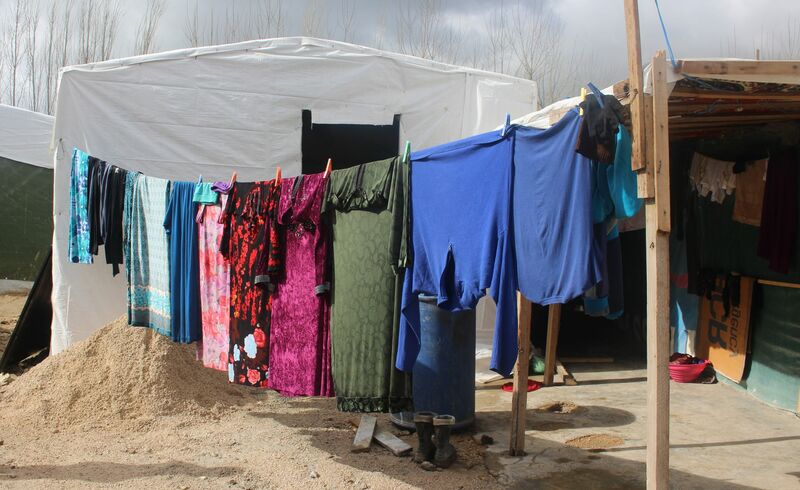 Dima and her family live in an Informal Tented Settlement (ITS) in the Bekaa Valley. Their names have been changed in accordance with protection policies. Their home is constructed of wooden poles, plastic sheets, and concrete floors. The ceiling leaks and the floor floods when it rains. Outside, there is mud everywhere. This is the daily reality for not just their family, but also an estimated 88,000 of the 1.5 million Syrian refugees residing in Lebanon. These squalid living conditions and the accompanying strained resources contribute to the decisions of many families to arrange marriages for their daughters at an early age. Dima’s mother, Hiba, being the only breadwinner supporting a family of 10, only had one available option to ease the burden on her family. It was arranging the marriage of her oldest daughter. Dima was only 13-years-old at the time, and the boy she married was 17. Hiba also believed that this would provide her daughter with a better life, free from the struggles of her family. Dima’s husband, it turned out, treated her poorly, and they didn’t get along. She struggled for a year before they divorced, and she moved back in with her parents. To avoid the cultural and social stigma of being a divorced woman, Dima remarried, as a child once again, hoping that her conditions would improve. Unfortunately, she found herself in an even worse situation. Her new 27-year-old husband was abusive and did not care about her at all. When Dima became pregnant, her husband left her for another woman, providing no financial support. Dima had to move back in with her family once again. During the time of Dima’s troubles, Hiba began attending awareness sessions hosted by a local NGO about gender-based violence (GVB), and began regretting arranging Dima’s early marriage. “I should never have allowed Dima to get married,” says Hiba. “After attending the GBV session I understood that early marriage is a form of abuse to our children. I abused Dima and I learned it the hard way. I will not allow my other daughters to get married until they are in their twenties,” Hiba explains. Today, Dima has a three-month-old son, Imad. The child doesn’t know his father, who has no interest in taking responsibility for his son, and is withholding the official documents needed to register his and Dima’s divorce. Dima is therefore unable to register the birth of Imad, leaving him undocumented and at risk of becoming stateless. The women living in the tented settlement with Hiba and Dima are now working to raise awareness in their community to try to prevent early marriages from happening. “We are talking about the consequences and dangers of early marriage,” says Jawaher, our community representative in the settlement. “Now, we know better. A young girl or boy is not equipped or ready to start a family. It affects the couple’s life negatively as it increases the risk for domestic violence and poses higher risks on the reproductive health of young girls who get pregnant,” concludes Hiba. Hiba og Jawaher (middle) together with two other women from their ITS. “We are talking about the consequences and danger of early marriage,” says Jawaher, NRC’s community representative in the settlement. Photo: Racha El Daoi / NRC. 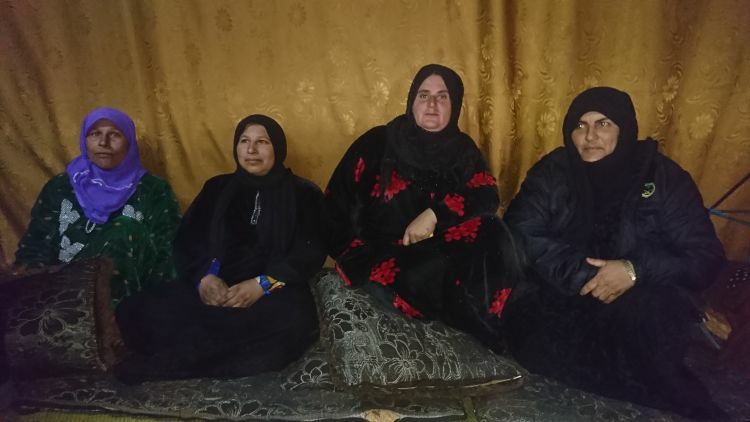 Hiba og Jawaher (middle) together with two other women from their ITS.“We are talking about the consequences and danger of early marriage,” says Jawahei, NRC’s community representative in the settlement. Photo: Racha El Daoi / NRC. 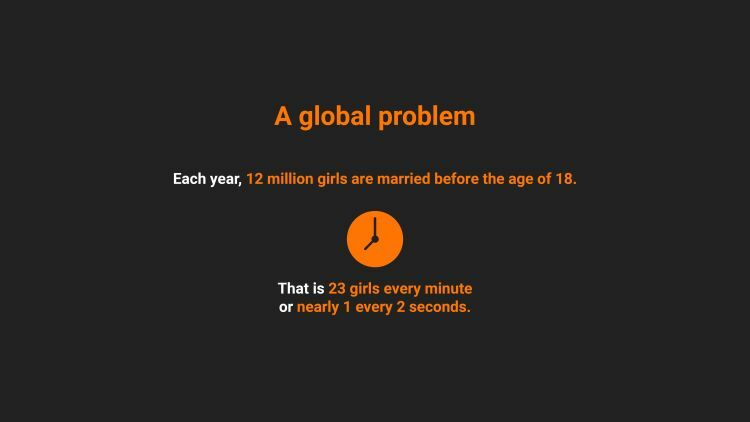 Child marriage is a major violation of girls’ human rights and it harms girls’ rights to health, education, equality and a life free from violence and exploitation. 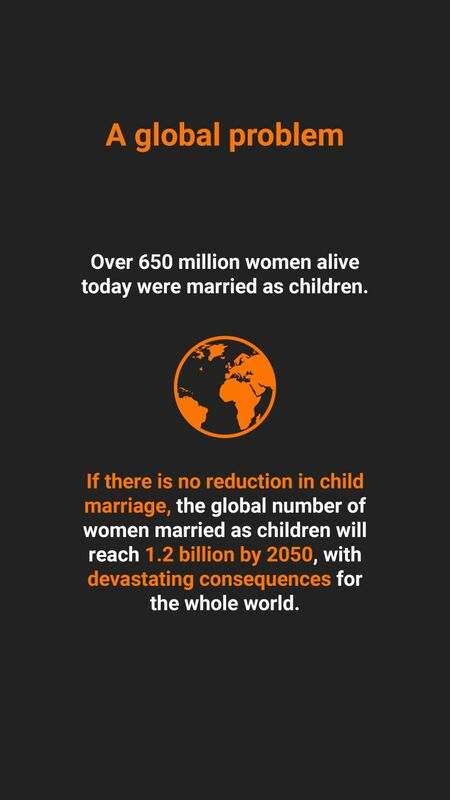 Child marriage is a human rights violation that we must end to achieve a better future for all. 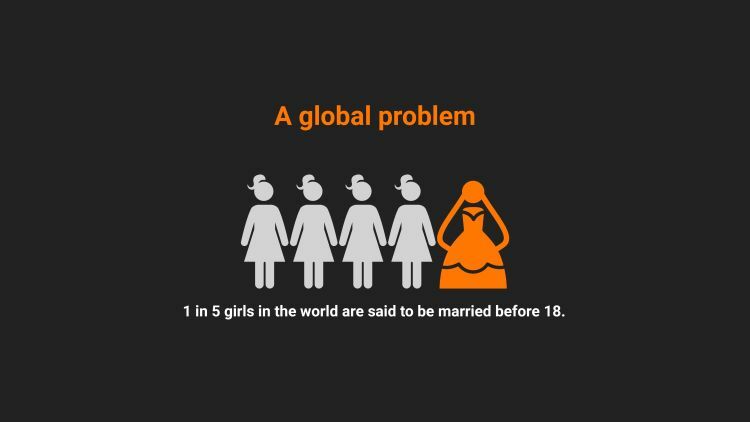 Child brides face huge challenges because they are married as children. Isolated and with limited freedom, married girls often feel disempowered. They are deprived of their fundamental rights to health, education and safety. 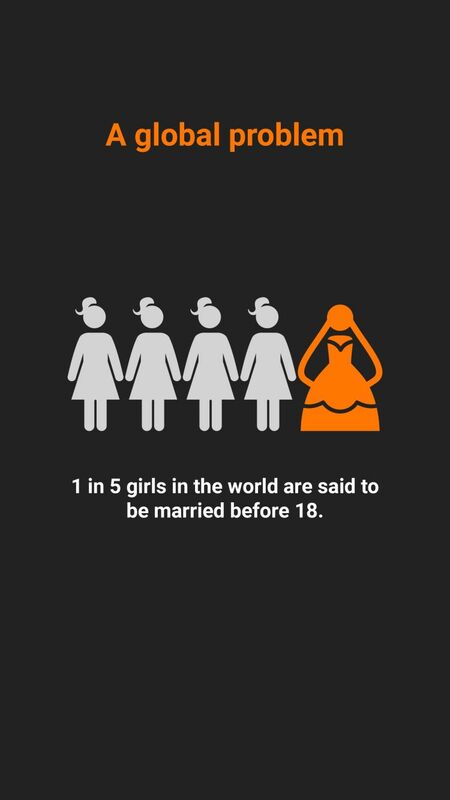 Child brides are neither physically nor emotionally ready to become wives and mothers. They face more risks of experiencing dangerous complications in pregnancy and childbirth, contracting HIV/AIDS and suffering domestic violence. With little access to education and economic opportunities, they and their families are more likely to live in poverty.